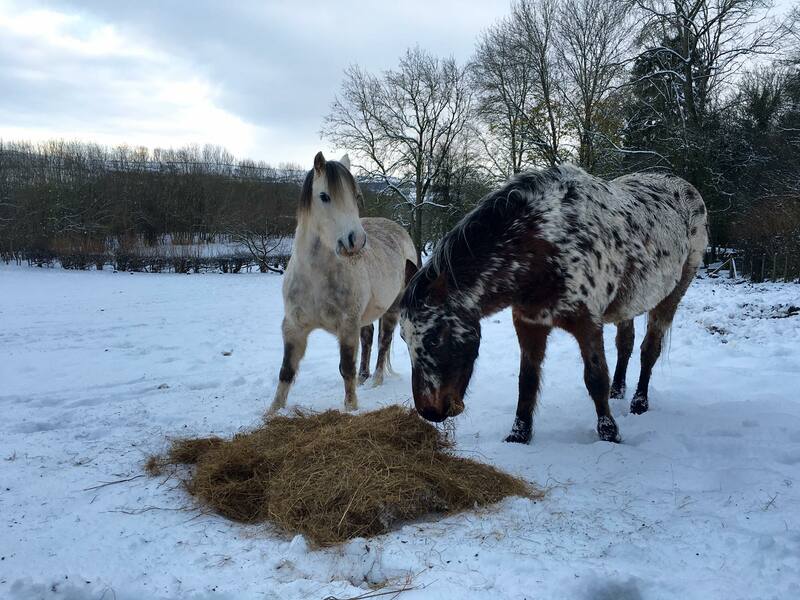 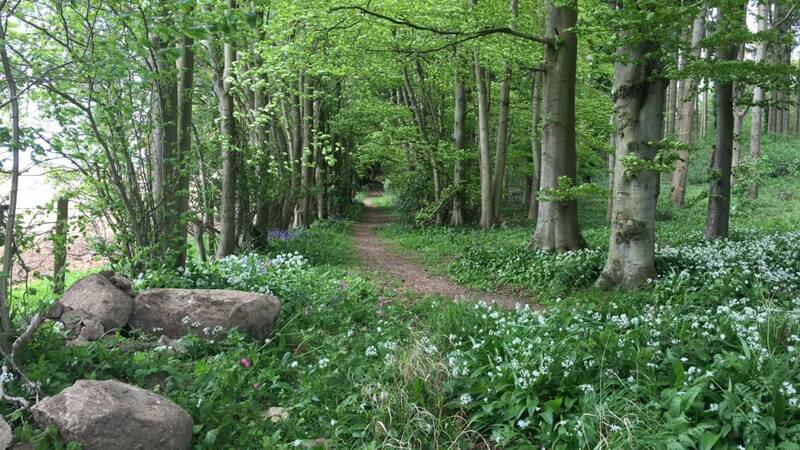 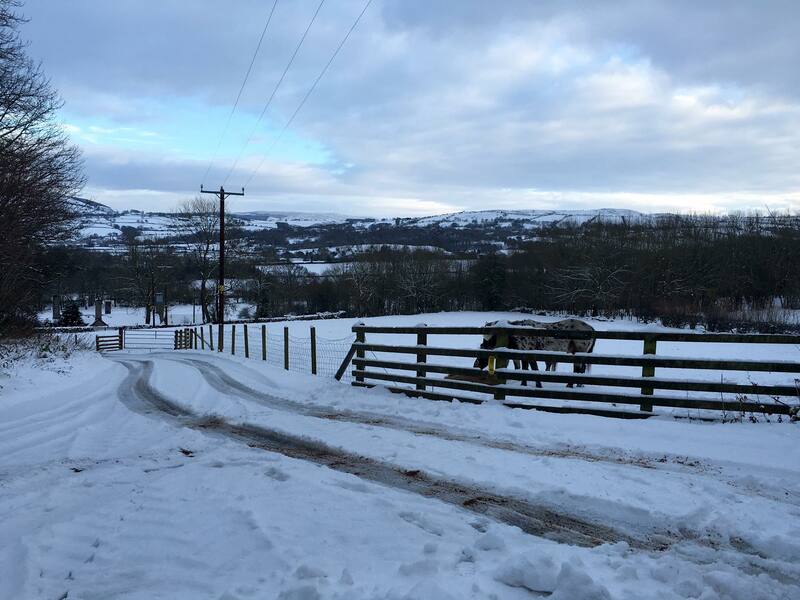 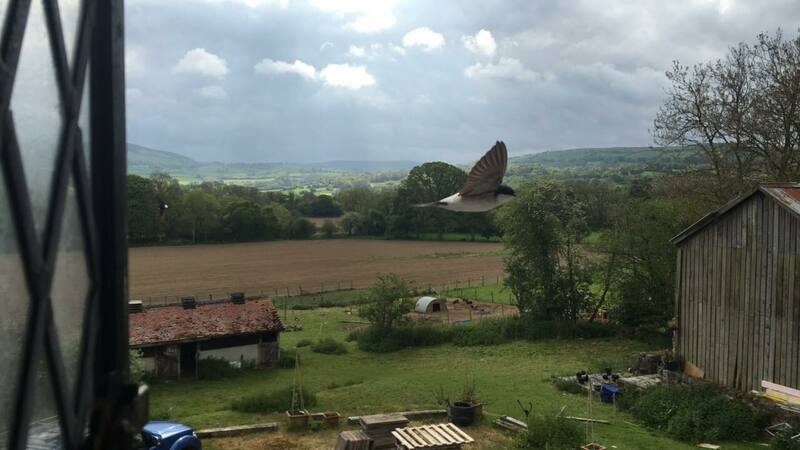 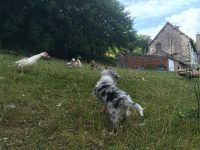 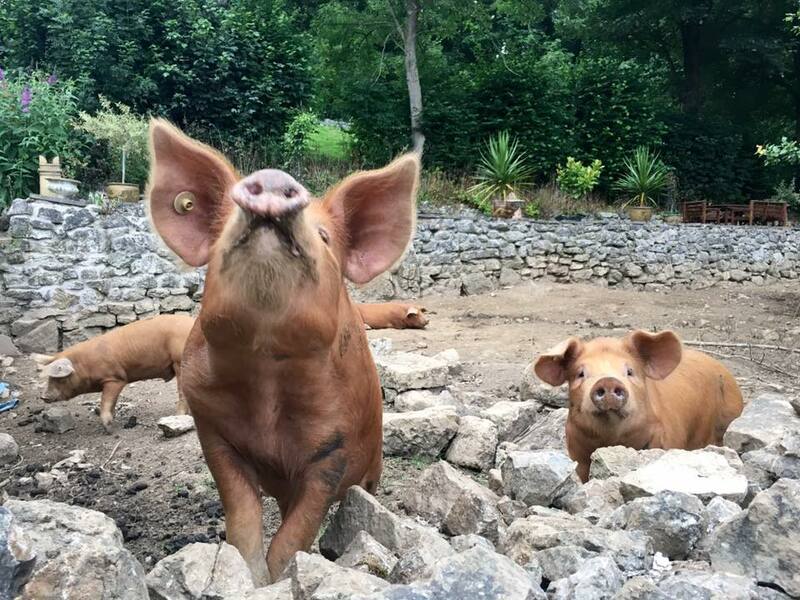 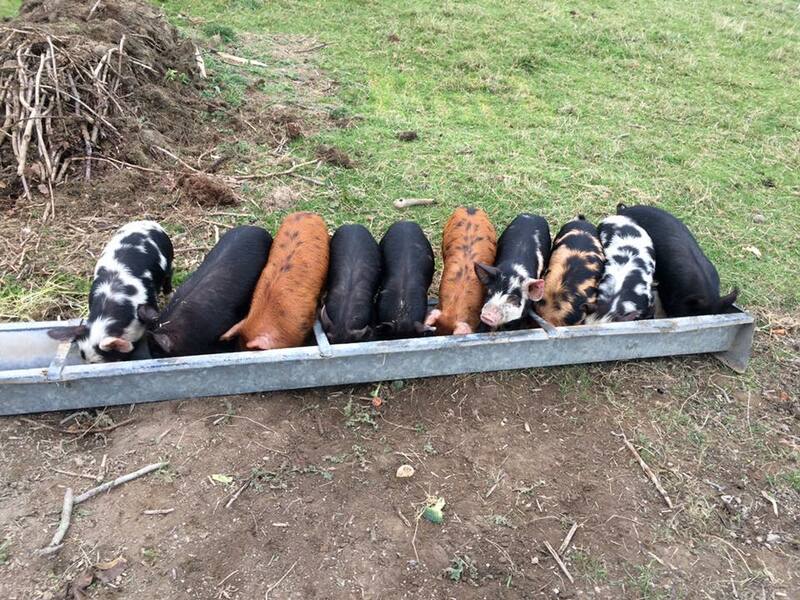 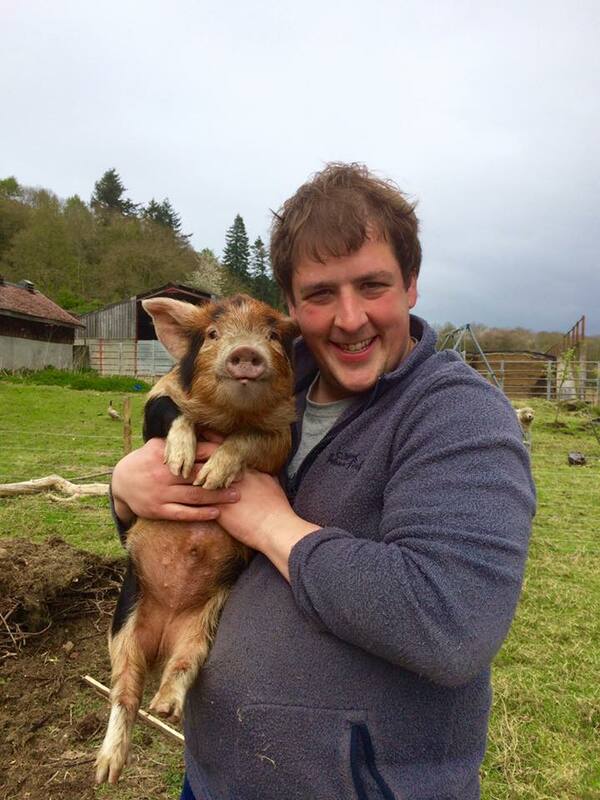 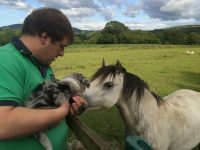 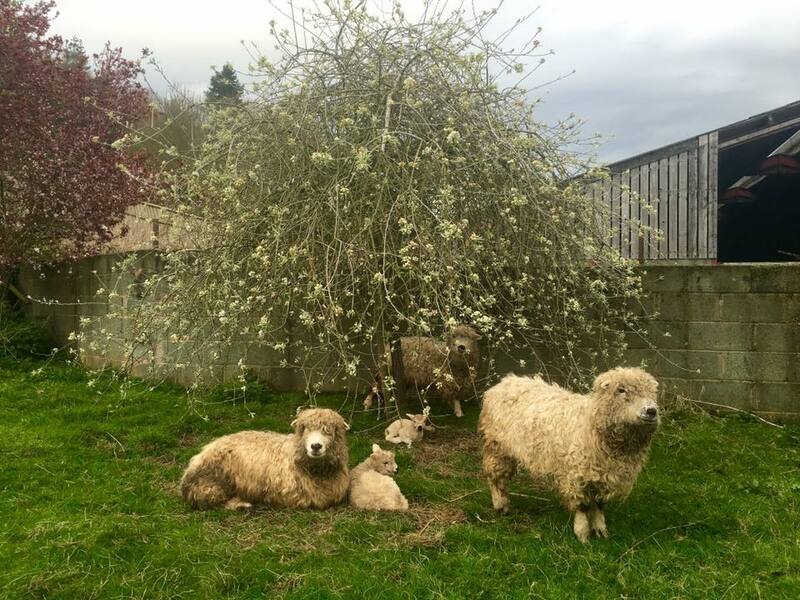 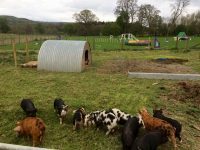 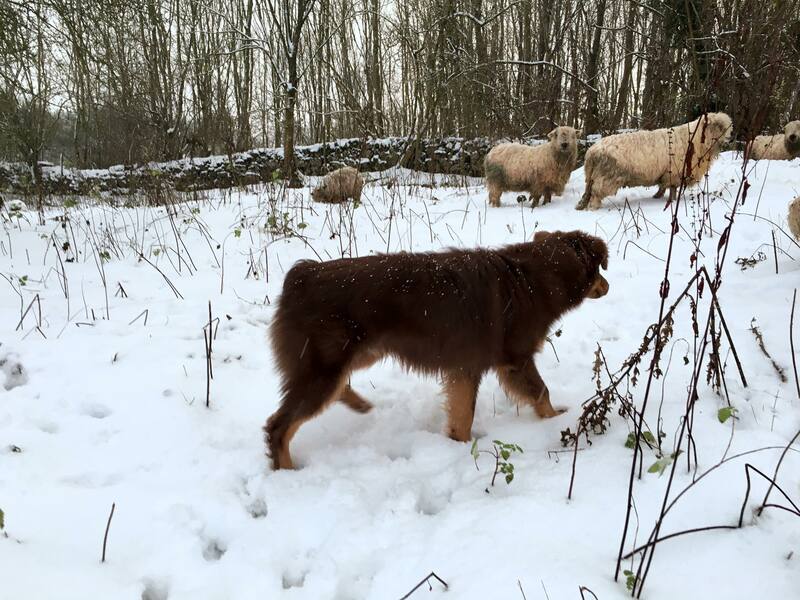 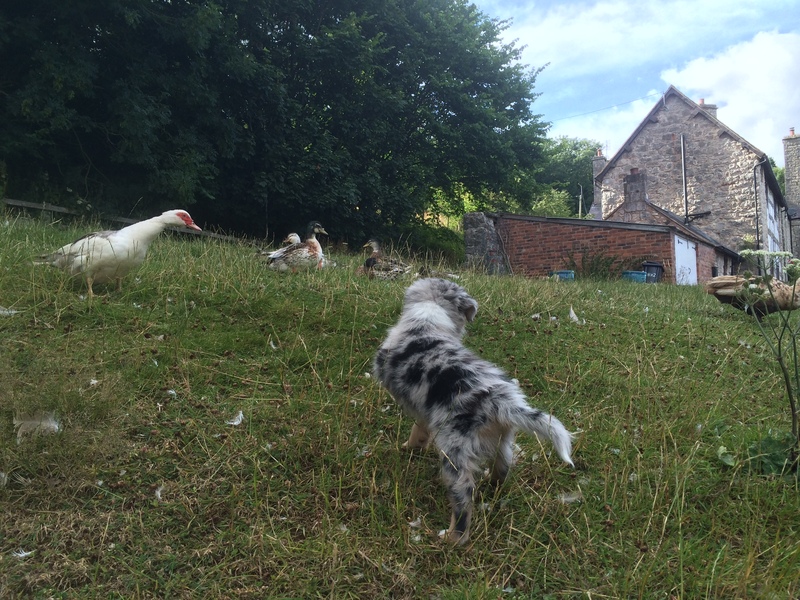 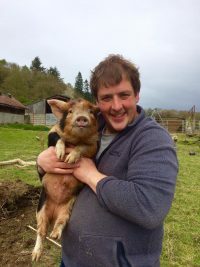 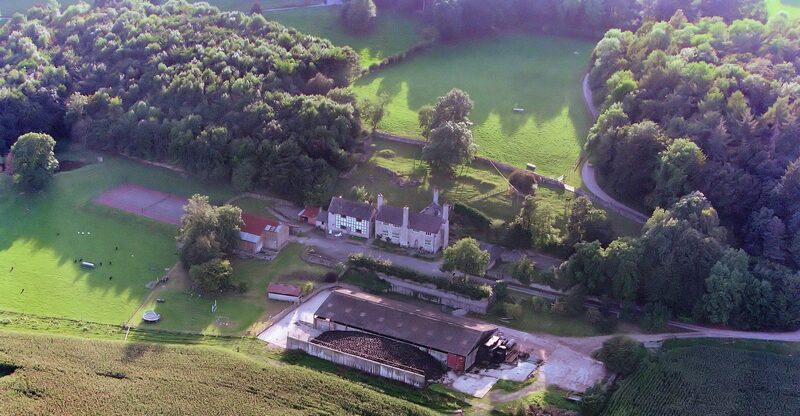 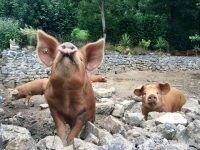 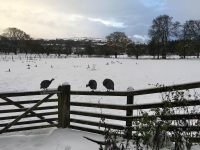 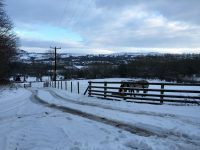 We live on a 7-acre smallholding in the beautiful Clwydian Valley, north Wales. 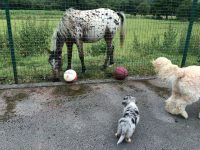 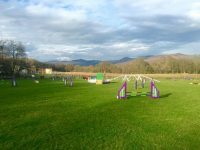 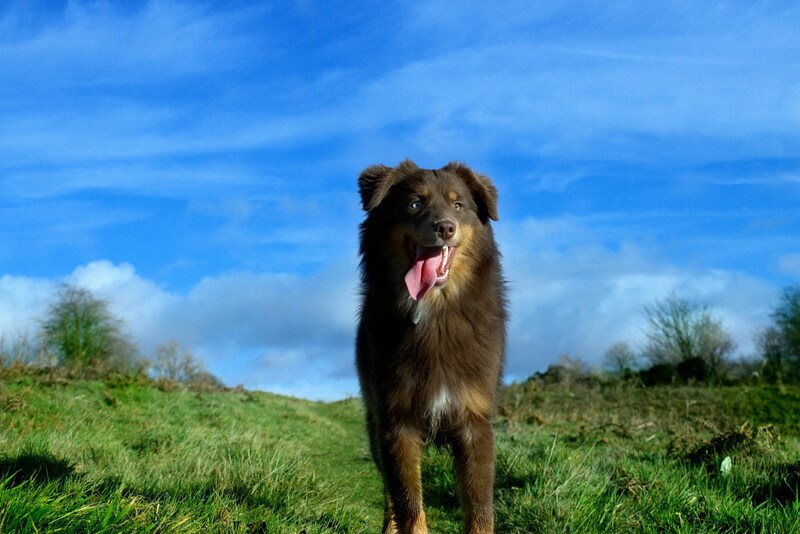 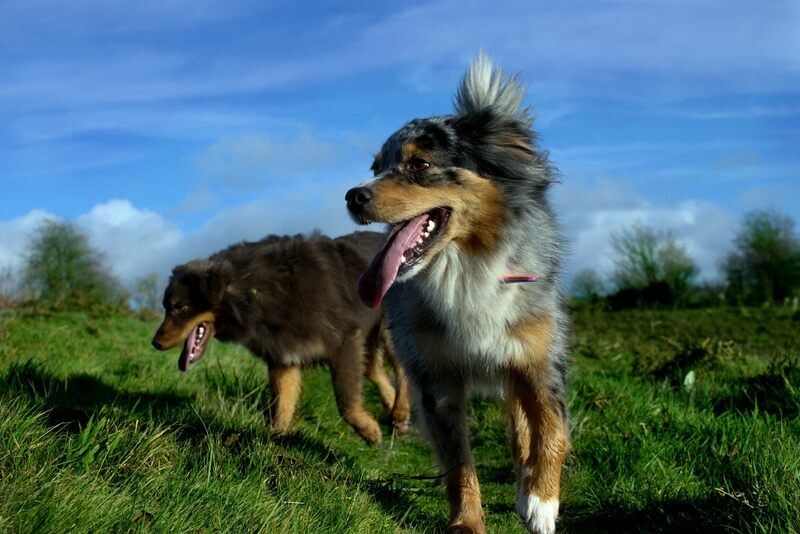 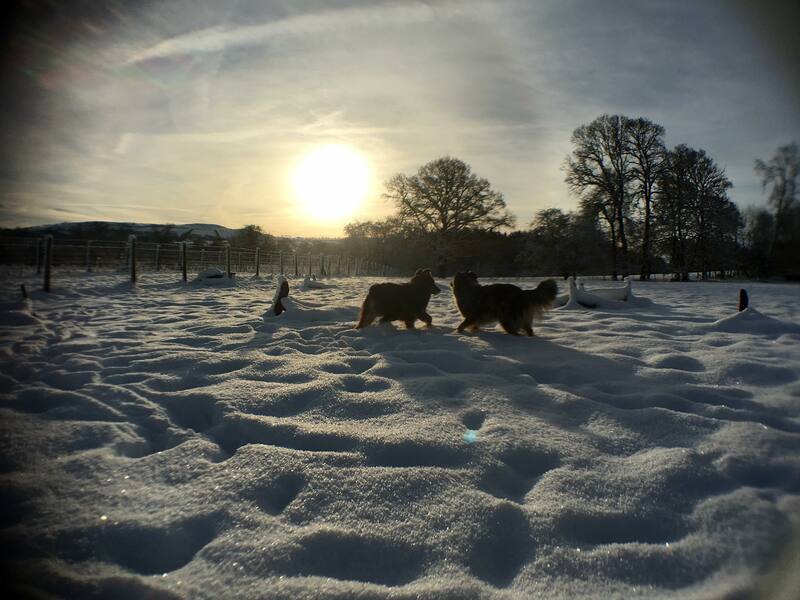 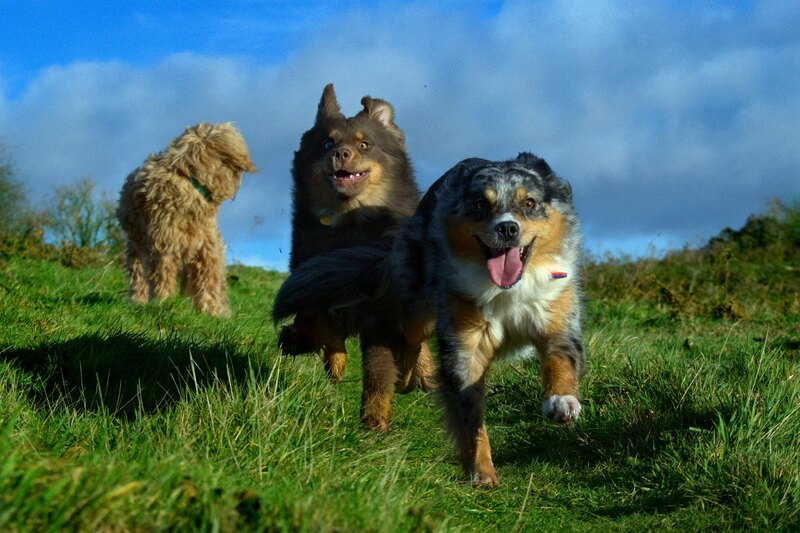 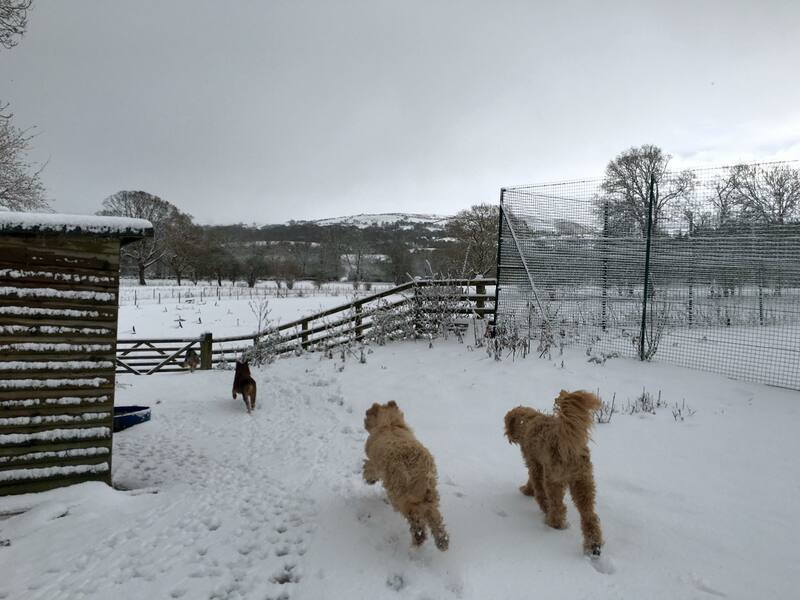 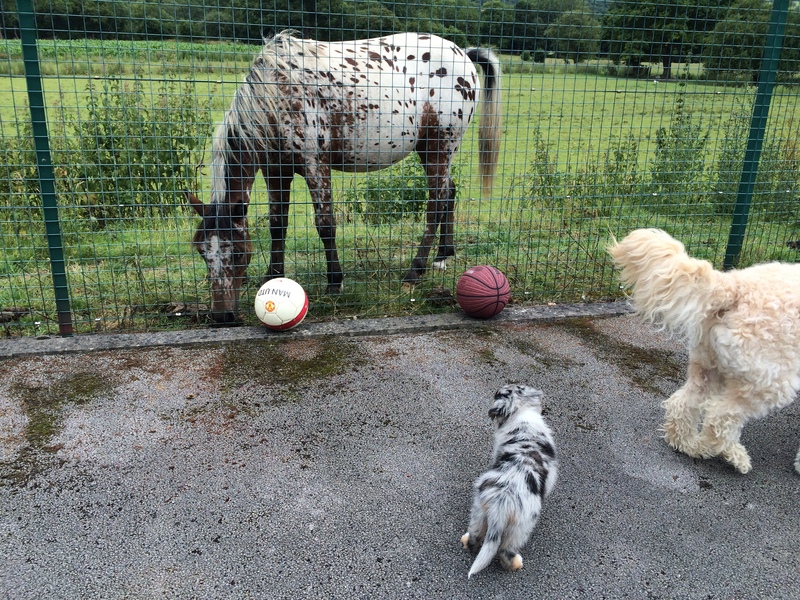 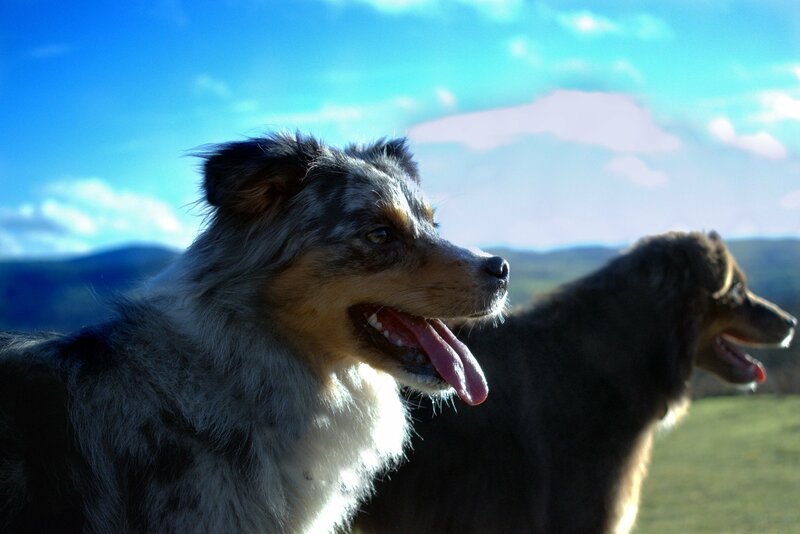 The dogs have plenty of fresh air and acres of freedom in which to run, play and learn. 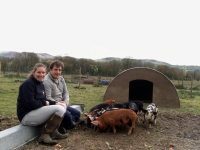 We live off the land we own, rearing a range of rare-breed animals, both for produce and conservation of the breeds we keep. 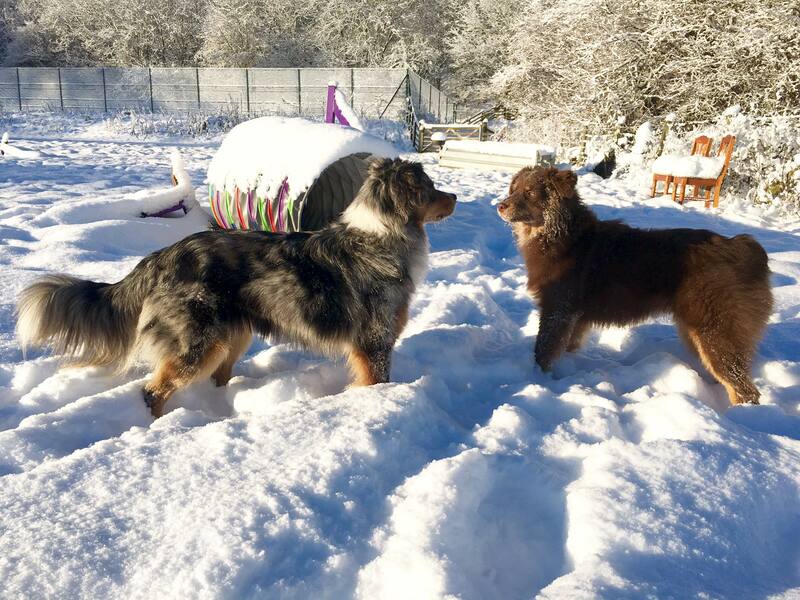 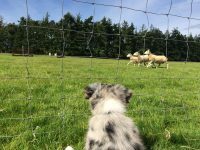 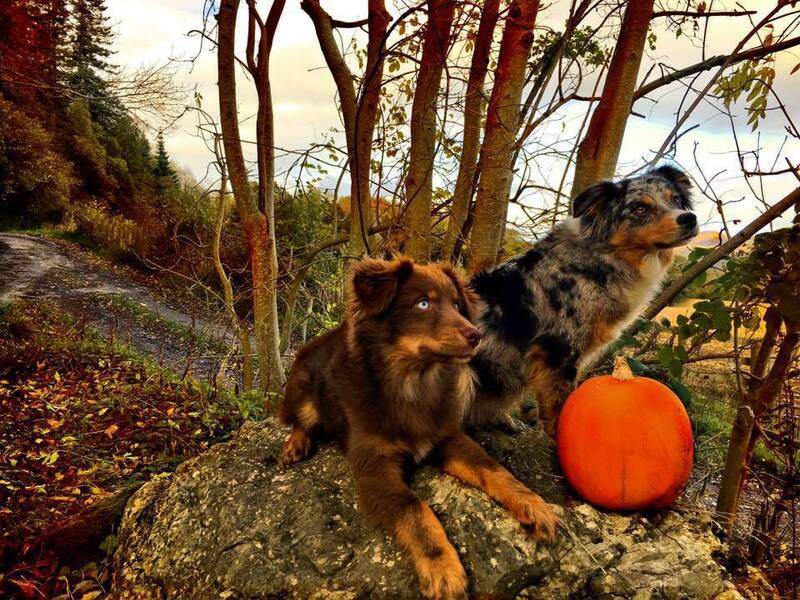 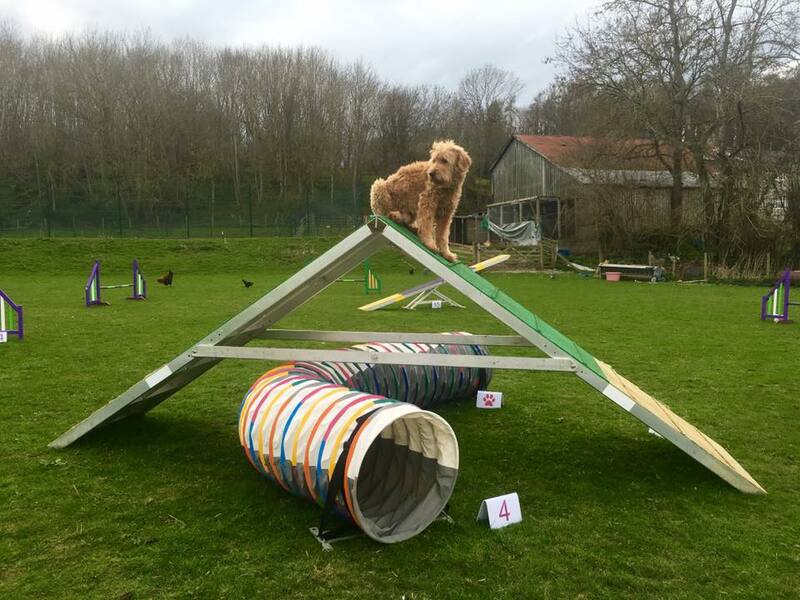 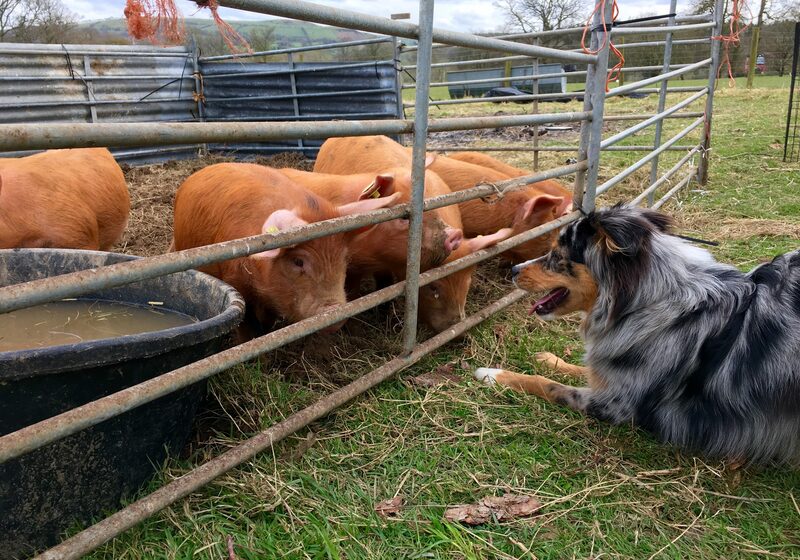 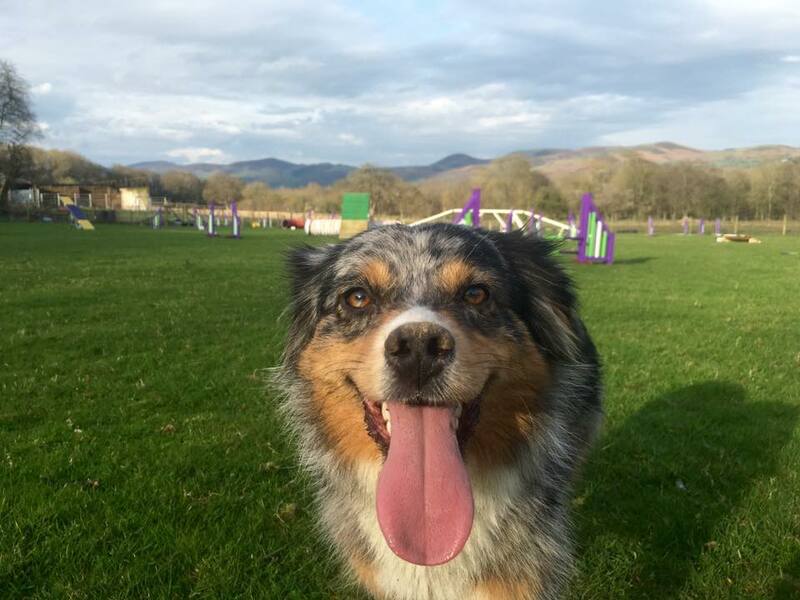 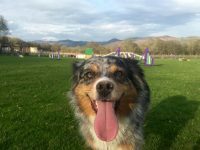 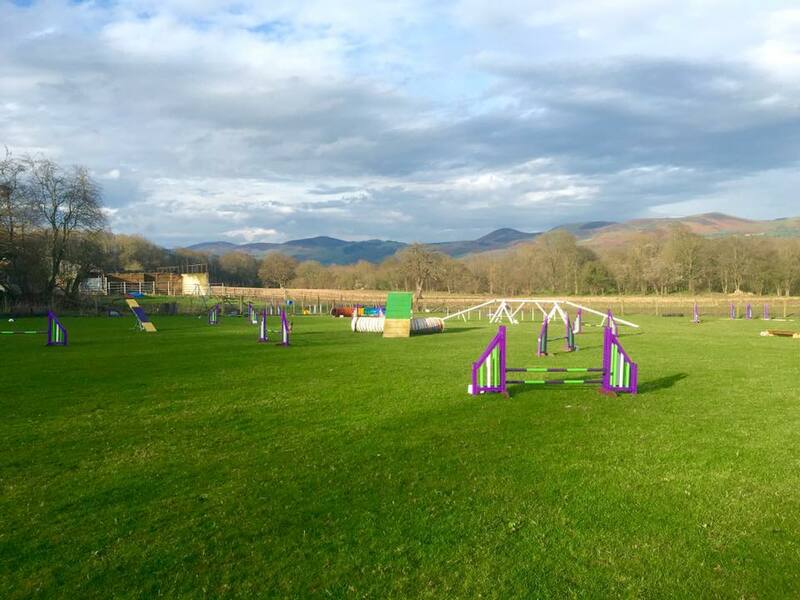 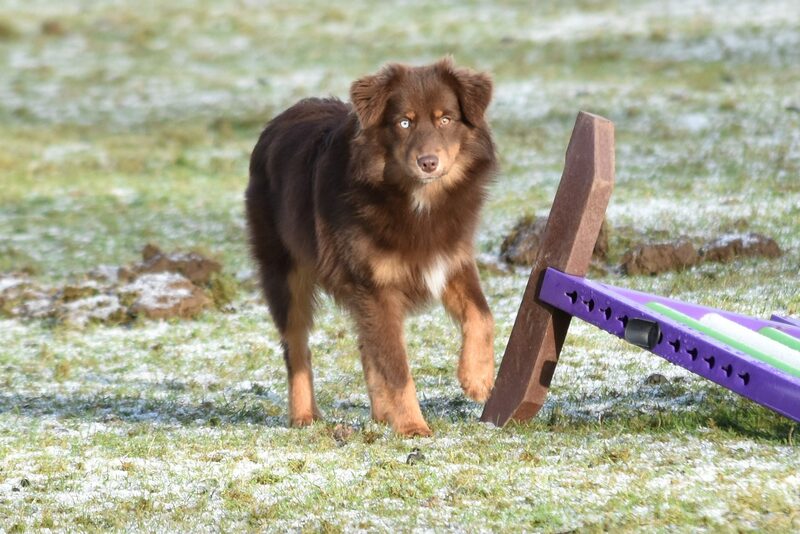 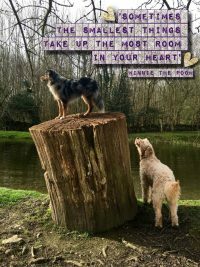 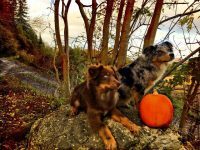 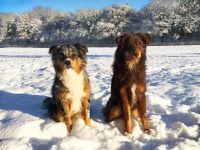 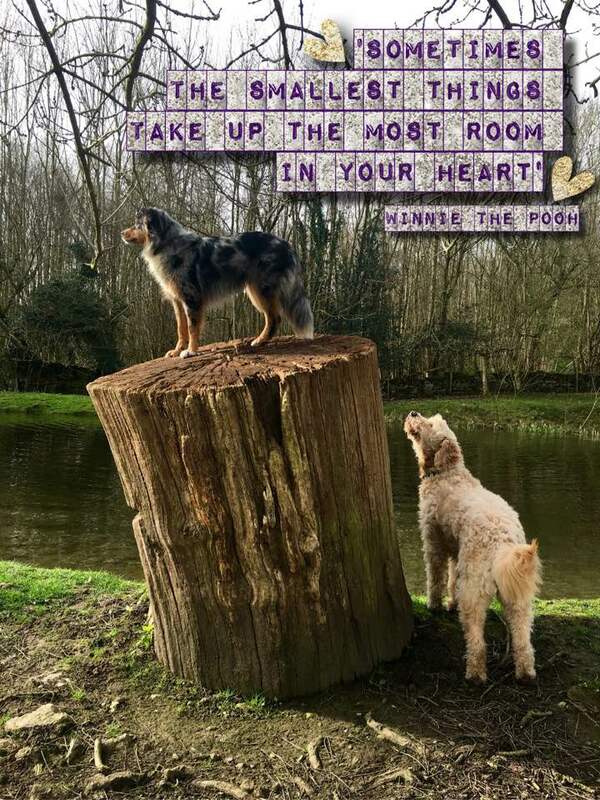 We have also hosted the UK Miniature American Shepherd Club’s (UKMASC) Miniature American Shepherd camp, known as MASCamp. Gareth has a Veterinary Science degree and works as a Microbiologist. Georgette has a Veterinary Science degree and works as a Research Fellow. 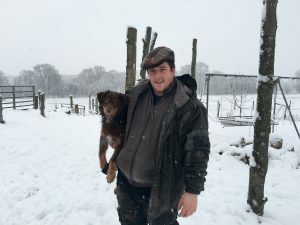 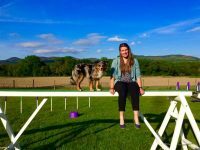 We both have a keen interest in dog training and genetics and have been members of the Kennel Club’s GCDS Display Teams at Crufts since 2012. 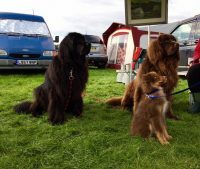 Both Gareth & Georgette are rally scribes, and Georgette is also an A1 examiner for the KC’s Good Citizen Dog Scheme (for all levels). 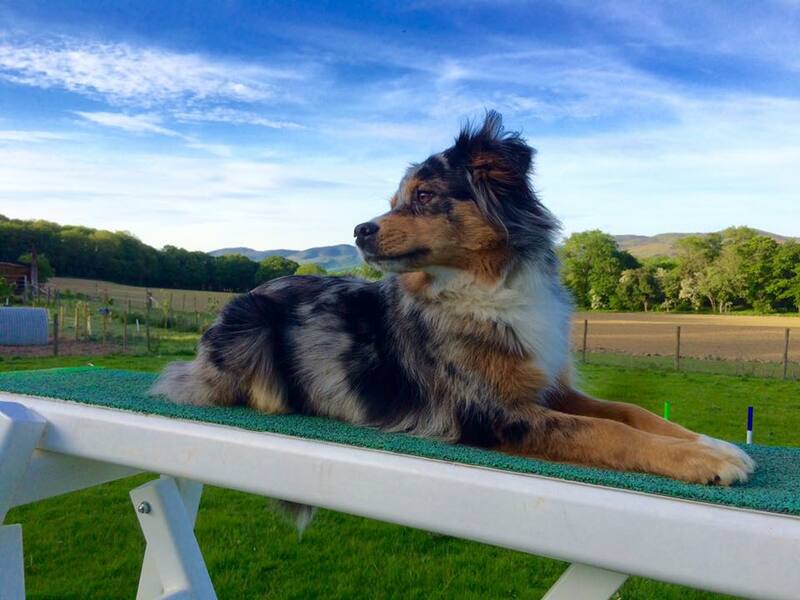 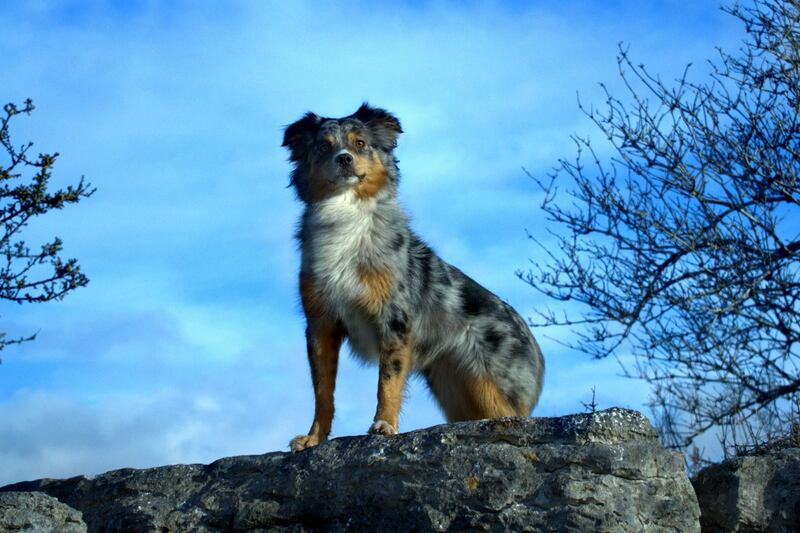 We’re both Members of UKMASC (the United Kingdom Miniature American Shepherd Club – the official daughter club of MASCUSA, which is the breed club in the USA). 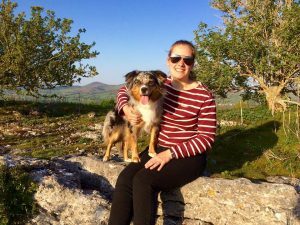 Georgette is also the Secretary and Events Coordinator for UKMASC. 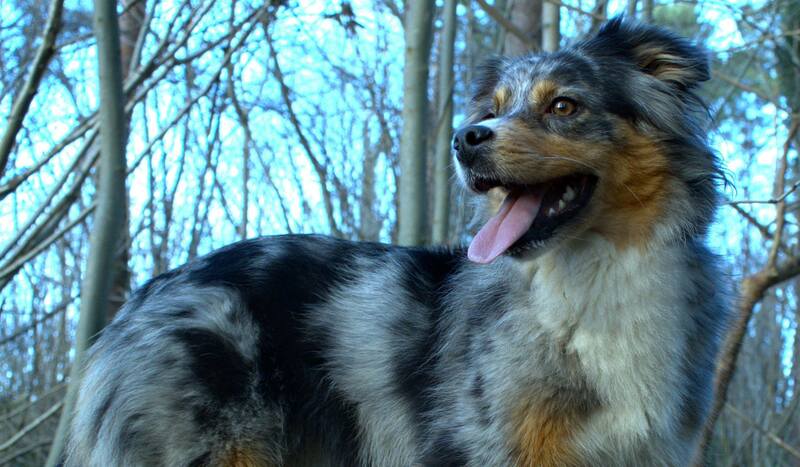 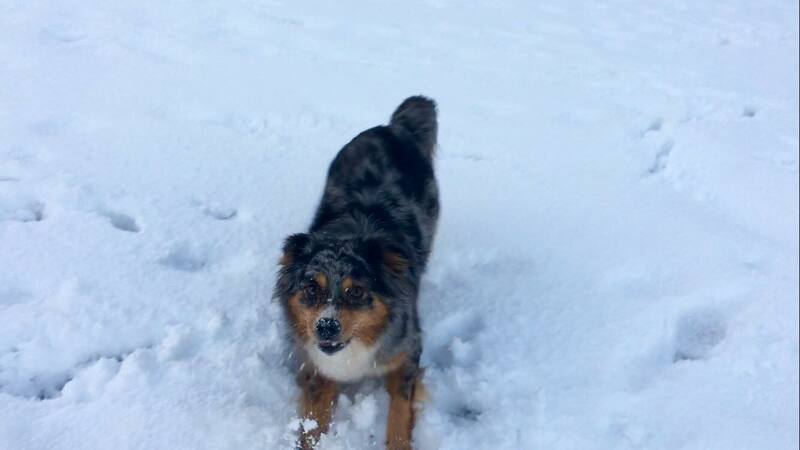 Georgette is the official contact for Merle testing for MAS as a breed. Merle testing has progressed considerably over the last couple of years and Vemodia are leading collaborative work on the 7 merle alleles we now recognise (along with mosaicism). 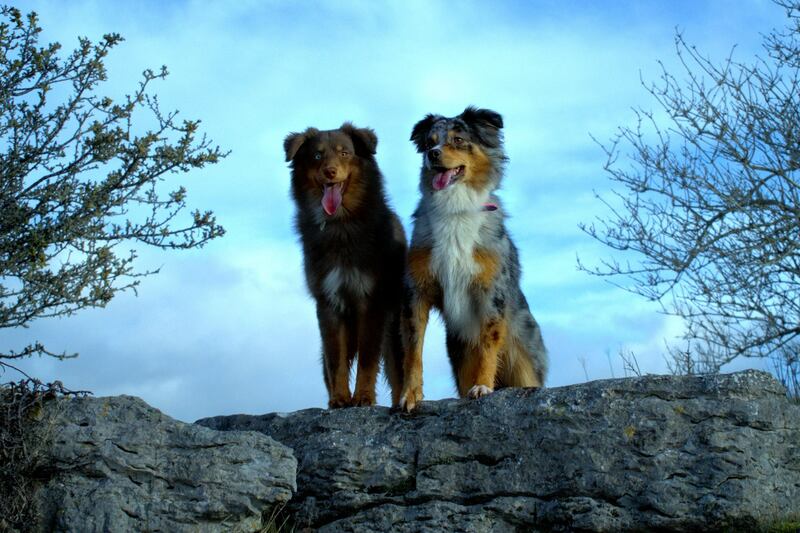 Should you wish to find out more, or have your dog tested you are welcome to contact us for more details. 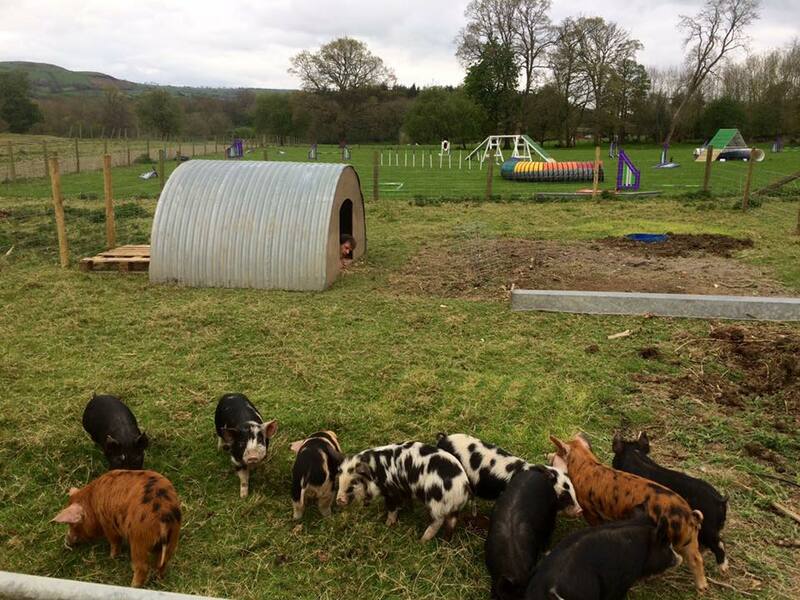 To find out more about who we are and what we do, select a section of interest on the right.